Video conferencing can be a valuable asset to a business. Video conferencing can be used to improve all types and sizes of meetings – from one-on-one meetings to large team or project meetings. Often businesses cite cost or inconvenience as reasons for not using video conferencing solutions or, sometimes, businesses only make the technology available to upper executives. However, the advantages of using video conferencing can benefit users across the entire company, making it well worth the investment. 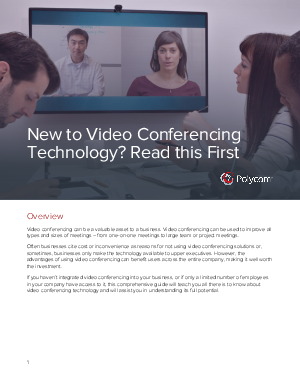 If you haven’t integrated video conferencing into your business, or if only a limited number of employees in your company have access to it, this comprehensive guide will teach you all there is to know about video conferencing technology and will assist you in understanding its full potential.